Chemical peels are non-surgical cosmetic treatments used to rejuvenate the look and feel of the skin. Many people use chemical peel service to optimize treatment outcome and achieve a smoother and more radiant complexion. that the skin begins to lose its glow over time? This is because the skin’s natural shedding of dead cells slows with age, causing it to appear dull and lackluster. Though new, healthy skin exists below the surface, it is often masked by an old and uneven external layer of skin. 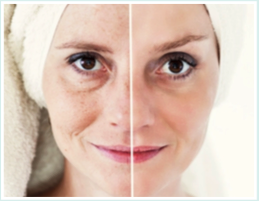 Chemical peel treatments help reveal healthy, glowing skin and restore a youthful appearance.